Elise was born in Alabama and raised in Tennessee, but returned to Alabama to complete her BS in Exercise Science from the University of Montevallo. In her last year at Montevallo, she interned at a local Parks and Recreation Center where post graduation she was hired as the Aquatics Director and coached a locally ranked swim team. Shortly after, she began raising her family in Birmingham, Alabama before moving to Richmond a decade ago. After many years of helping friends through coaching from a very young age, she began to realize she was extremely skilled at getting to the core of people and/or their businesses to help them reach their goals. Throughout the years, she has spoken to groups and individually mentored and coached many people to discover and create their mission and purpose for their life. Elise is on a mission to engage, equip and empower anyone she connects with to pursue their passion and purpose. She helps people define and pursue their professional and personal goals so that their greatest potential can be realized. In 2013, Elise began working at Salem Web Network, where she not only built great relationships with her clients, she also delivered results by increasing her clients branding exposure through advertising on the largest Faith-based audience on the web. She increased her clients audience through name acquisition to grow her clients charitable contributions. Elise was involved in relationship management, she worked with Emerson Eggrich and increased his branding exposure. Dr Eggrich is an author and nationally recognized speaker and lecturer for his non profit organization. Elise is obsessed with getting to the core of what the goal is and doing whatever it takes to reach goals by delivering an exceptional experience. She is a master at problem solving and looking at all things from every angle. For the last 3 years, she worked at YouFit fitness Center. 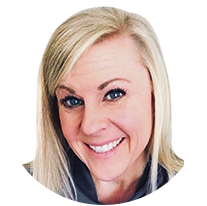 At YouFit her goal was to help clients reach their individual fitness goals by developing relationships, getting to the why behind their goal in order to be successful. She was a highly valuable employee with consistent repeat business and a large roster of satisfied clients. She created personalized programs for each client making her one of the most sought after personal trainers in the Richmond area. As the director she continually increased the companies total cash revenue month over month by consistently increasing business and helping clients reach their goals. Elise enjoys spending her free time with her two grown children, close friends and family. She enjoys kayaking, hiking, and is a beginner power lifter. Elise enjoys reading, personal growth, traveling, learning new things and going on adventures.